Themes come from diabetes, life in a small Southern town at Sam Barlow High School. "Steel Magnolias," the popular play with a 1989 film adaption, was once dubbed the funniest show to make you cry. 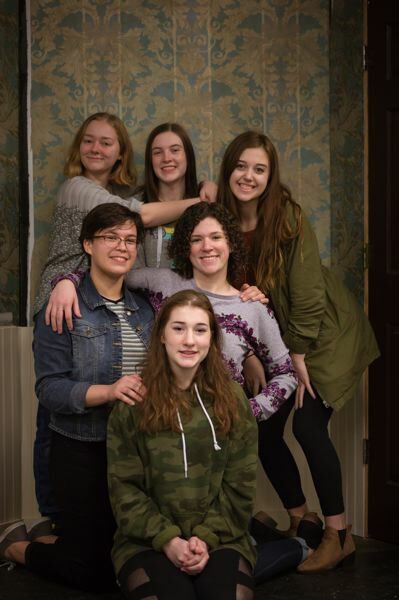 Sam Barlow High School's Theatre Department will transport audience members to Truvy's beauty salon in Chinquapin, La., with its upcoming production of "Steel Magnolias." The show opens Friday, Feb. 16, in Barlow's Little Theater. "It's a laughter-through-tears play," Director Jeff Schroeder says. "I loved the idea of doing this show because we have such a talented group of girls this year. They have worked hard to make the characters their own." Playwright Robert Harling was inspired to write "Steel Magnolias" after his younger sister Susan died from Type 1 diabetes complications in 1985. Harling intended the title to suggest that the main female characters were as delicate as the magnolia flower and tough as steel. The play chronicles gossipy southern ladies in a small-town beauty parlor. Despite the characters' antics, they are deeply relatable in their love for family and friends — and how they ultimately learn not to take anything for granted. Barlow's production features an all-female cast of six and a crew of the same number. The set is ripe with Southern 1980s flare, and lots of big hair. Junior Avery White plays Shelby Eatenton-Latcherie, the character inspired by Harling's sister, Susan. For her role, White not only worked on her Southern accent, but also researched how to portray her character's struggle with diabetes. "I feel like I'm part of something big and iconic," White says of the production. "It's so fun to work with all girls. We have bonded so well." Katherine Hardenbergh, a junior, plays Shelby's mother, M'Lynn Eatenton. The role has given her an appreciation for what it must be like to be a parent. Hardenbergh has a friend with diabetes and has found it powerful to be part of a story about a young woman with diabetes. Junior Savannah Serviss says playing Truvy Jones is a dream role for her. "She is so uplifting to everyone and finds the light in dark situations," Serviss says. "All the women in the show are so strong and stick together for each other. As a cast, we've been able to do the same." As Annelle Dupuy, Savanna Newman, a senior, says her character finds a balance in living out her faith and accepting people for who they are. Emma Beckers, a senior, plays Louisa "Ouiser" Boudreaux and Shyloh Peckham, a junior, plays Clairee Belcher. This marks Barlow's last performance in The Little Theater, which has been a venue since the school opened in 1968. With the bond that passed last spring, Barlow will build a new black box theater space in a different location. "It's so touching to be part of the last play to be held in the Little Theater," White says, noting how many students must have performed there during the past 50 years. Attendees are encouraged to buy tickets in advance, as the Little Theater is an intimate space with 65 seats. Because diabetes is a central theme in the play, Barlow Theatre will host a table in the lobby with information about the disease and collect donations for diabetes research. "Come laugh, cry and connect with these characters up close and personal," Schroeder says. 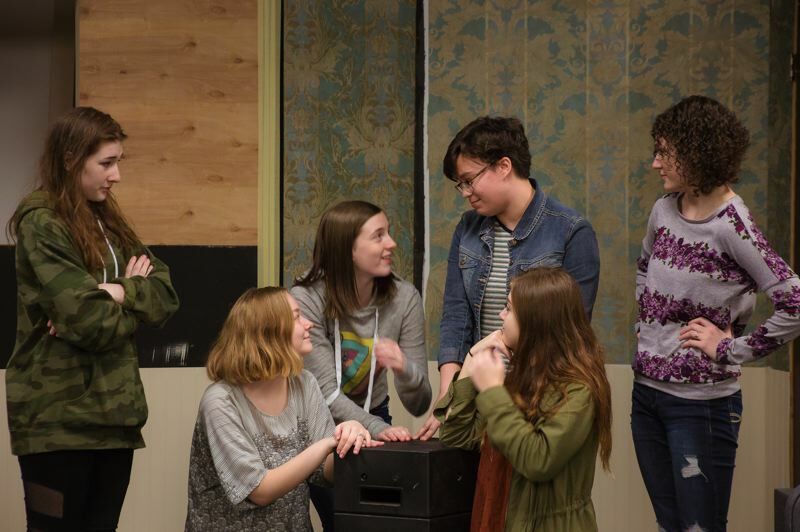 What: Sam Barlow Theatre Department presents "Steel Magnolias"